At Get My Auto, we are always encouraging used car dealerships to explore the potential of paid Facebook ads. We truly believe that the Facebook Ads platform—along with Craigslist and SEO—is a must-have marketing measure for any used car business. With that said, we sometimes get a little pushback—and understandably so. There are some misconceptions about how the Facebook Ads platform works, and about what makes it such a good option for dealerships. 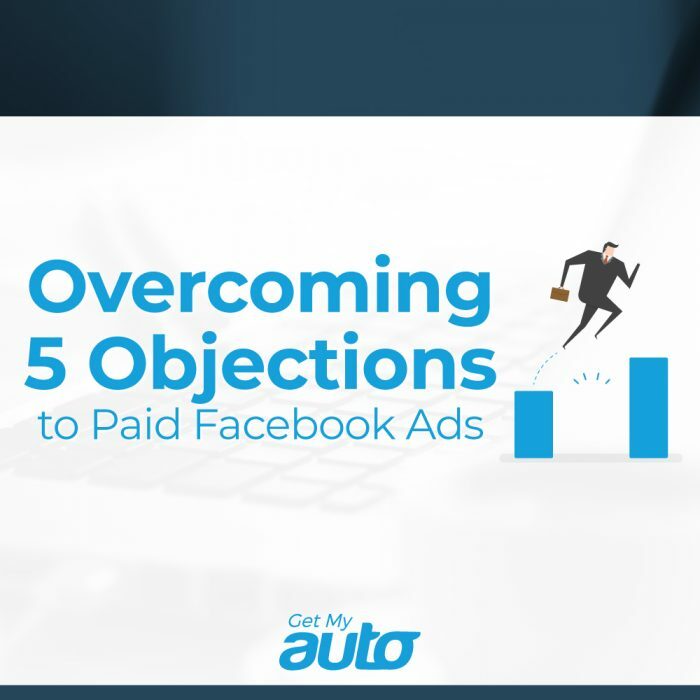 In this post, we’re going to try to clear things up by addressing five of the most common objections to Facebook Ads. First, what about the cost? Facebook advertising isn’t free, but it also doesn’t have to break the bank. Remember that you can choose different types of ads that have different cost structures—so, for example, you can choose ads that you only have to pay for if people click on them. Also remember that you can set your budget as large or as small as you want, and something we encourage neophytes to do is to begin with a more modest budget and then work up from there. Aren’t a lot of people leaving Facebook? Another common objection is that Facebook’s recent spate of bad publicity has made the social network less desirable. While Facebook has taken some licks, the reality is that it’s still the most densely populated social network by far—plus, it’s the one with the best ad network. The shine has definitely not come off Facebook, and probably won’t any time soon. Who needs paid ads when you can post stuff for free? Organic reach is definitely important, and we actually advocate for using organic and paid posts in tandem. With that said, organic Facebook reach simply doesn’t allow you the targeting options that you’ll get when you pay for placement. You really do need both for your Facebook efforts to be effective. Nobody buys cars on Facebook! While this is technically true, remember that today’s buyers overwhelmingly prefer to do their research online before they head to the dealership—so it’s important that you have a robust online presence to point them in the right direction. Facebook Ads is simply one of the most effective ways to create that presence. I don’t know how to use Facebook Ads effectively. Getting the feel for Facebook Ads can definitely take some time—but remember that you can start with a small budget, play around, and get the lay of the land. Also remember that you can always reach out for professional assistance—and one place you can turn is Get My Auto! 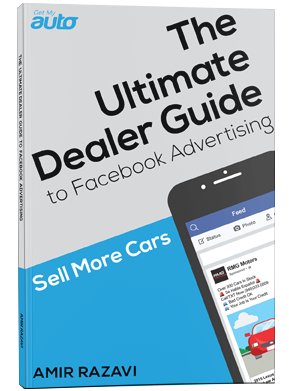 No matter your concern about Facebook Ads, we’re here to show you how you can use it to market your used car dealership effectively. Contact us today to learn more!